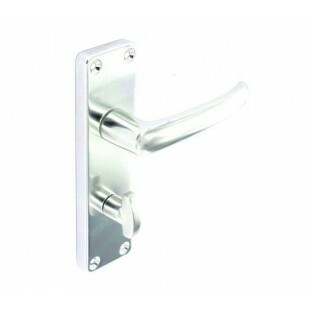 Aluminium door handles for a bathroom door. 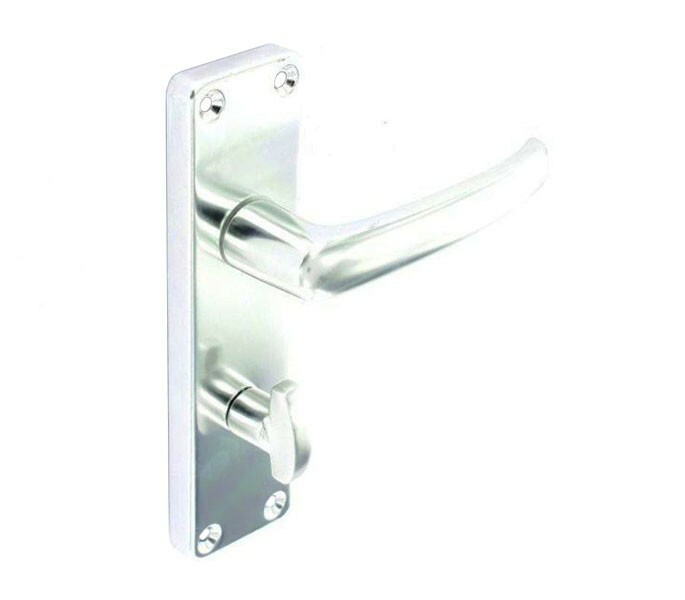 These handles feature a thumb turn for the inside of your bathroom door to operate a bathroom mortice lock or deadbolt which can be purchased separately. 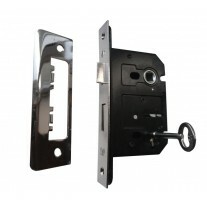 The aluminium bathroom handles on backplate also feature an emergency coin release on the outside of the door which can be used to unlock the door in an emergency. 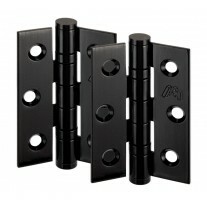 These aluminium door handles are supplied in pairs complete with a spindle, wood screws and thumb turn spindle. Measuring 10mm in projection, the backplate is 150mm in height and 42mm in width. 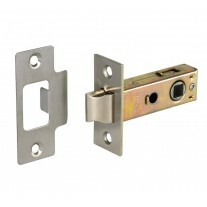 The lock centres are 57mm, the overall projection is 46mm and the lever length is 102mm.